Just as the PDP alleges plot to arrest the President of the Senate, Bukola Saraki, and his Deputy, Ike Ekweremadu, the Reformed-All Progressives Congress (R-APC) has urged Nigerians to be vigilant in order to protect Nigeria’s fledgling democracy, The Punch reports. The R-APC said the nation’s democratic credentials could once again be tested as a result of the desperation of the Adams Oshiomhole-led “factional All Progressives Congress” to use its members in the National Assembly to destabilise the Senate in a bid to force the Senate President, Bukola Saraki, out of office should the National Assembly reconvene on Tuesday. The allegation is contained in a statement signed by the National Publicity Secretary of the R-APC, Kassim Afegbua, on behalf of the R-APC’s National Working Committee in Abuja on Sunday. According to the statement, the Adams Oshiomhole-led APC was plotting to give its interpretation to the provisions of the constitution to illegally remove Saraki as Senate President. Afegbua said the National Working Committee of the R-APC had it on good authority that the Adams Oshiomhole-led faction of the All Progressives Congress had perfected plans to make the Tuesday, August 14 resumption date another day to pursue the illegal impeachment of the Senate President. “This time, they are hell-bent on giving nebulous interpretation to the provision of the 1999 constitution (as amended) by using the numbers of senators present to provoke an impeachment. Afegbua further alleged that there had been two meetings of the APC leaders and Senators in Abuja within the last 48 hours to perfect their plot. According to him, information available to the R-APC indicates that security agencies have also been briefed on what to do to ensure that the illegality is followed through. The R-APC spokesperson said, “The APC factional chairman has been boasting and insisting that the Senate President would be impeached by whatever means because he no longer deserves to wear the crown. “Needless to remind them that the National Assembly is an arm of government represented by elected persons who are vested with the responsibility of making laws for the good governance of the country. 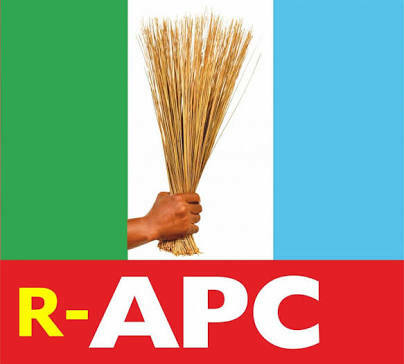 R-APC added, “We are also using this medium to condemn the blatant use of cash-for-votes which the APC has introduced into our electoral process. The just concluded by-elections in Katsina, Bauchi and Kogi states are testimonies to this fact. The R-APC also urged the Senate President, Bukola Saraki, to declare the seat of the former Senate minority leader, Godswill Akpabio, vacant because he left the PDP when there was no faction in the party.